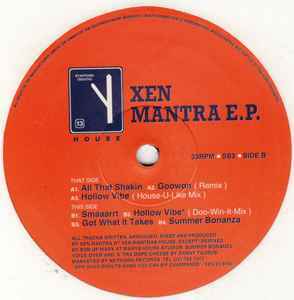 Xen Mantra ‎– Xen Mantra E.P. "Why dunk donuts when you can sip champagne" - Xen 22-8-93. Cheeky sample laden E.P. that got a lot of support back when it was released. The photo on the release is that of Mark Archer's 2 week older daughter, Emma.